These pictures are for my dear friend Jo (and to spruce up my blog!) My pictures finally uploaded so now you get all the pictures of Alex Rodriguez (my vote for the team's MVP) that you can handle! Hope everyone enjoys them. If anyone has any other requests for picutures, let me know! As I said in my previous post, the Yanks start a four game road series against Baltimore, and then this weekend finishes their regular season against Boston. 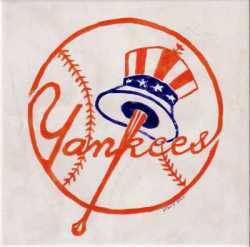 Go New York! What a great blog! I'm definitely going to bookmark you for future visits. 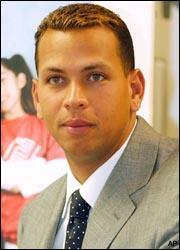 Nice AROD Pics, I showed them to my girlfriend and she really appreciated them as I'm sure Jo did as well. She has some requests for you if you get a chance, perhaps some pictures of Gary Sheffield and Jason Giambi. Those are her two favorite yankees. 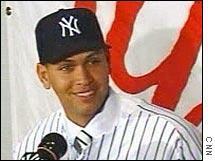 AROD is looking like a good candidate AL MVP so far. His numbers are great and rival that of David Ortiz. If he continues to play well he should definitely win the award. I think he will have some competition from David Ortiz and Manny Ramirez though.